This Thanksgiving morning the Oklahoma Gazette's Joe Wertz tells about a real home-for-the-holiday event. 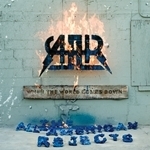 Returning home to perform for the first time in a while is Oklahoma�s own All-American Rejects . The group is set to play a show (along with AAR prot�g�s, The City Lives) at the Diamond Ballroom this Friday evening.